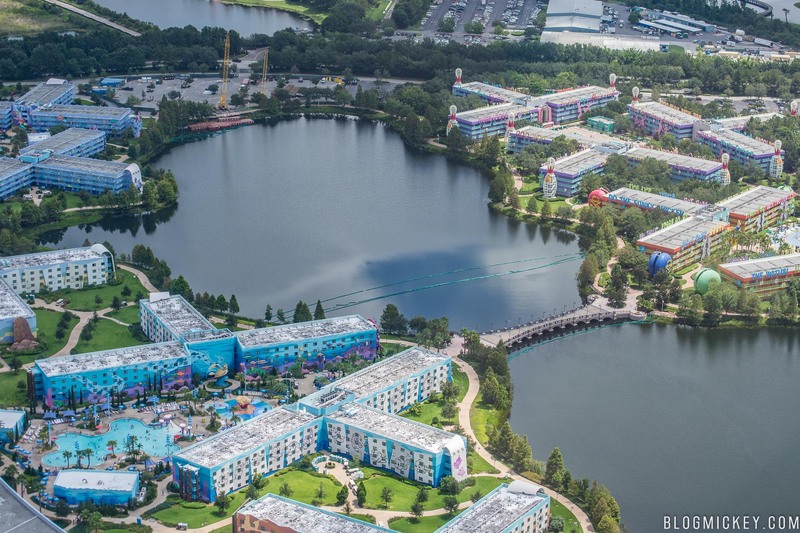 Continuing our aerial tour around Walt Disney World property, we see that more preparations have been made in the lake that separates Pop Century and Art of Animation. 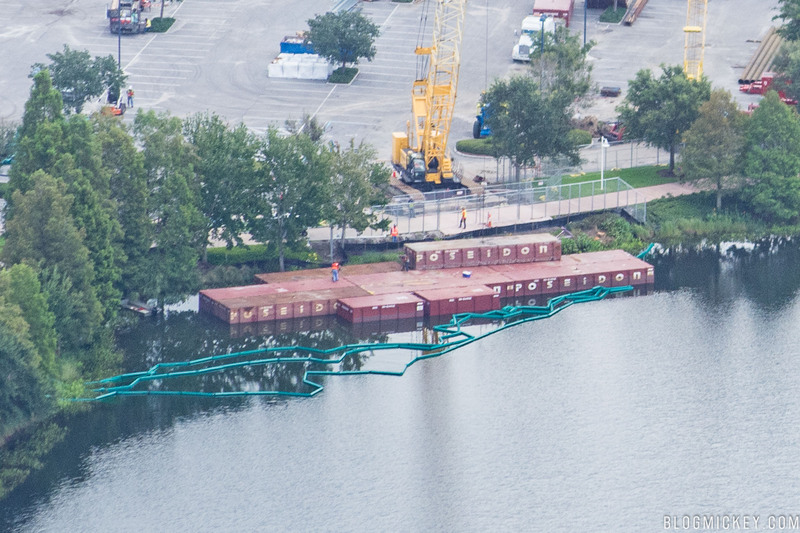 We first noticed movement on this aspect of the Disney Skyliner project a couple of weeks ago as preparations began on a boat launch. Let’s take a look at the progress from the air. 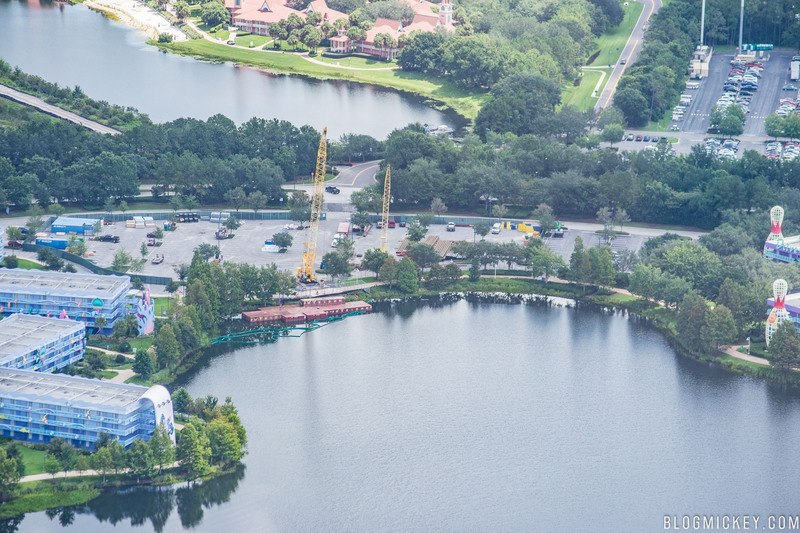 Directing our attention first to the north side of the lake, we see that deck barges are being put together to support the machinery and building materials needed to float across hourglass lake to the bridge between the two resorts. Widening our view, we can see their destination and the aqua barriers that signal the limits of the project. 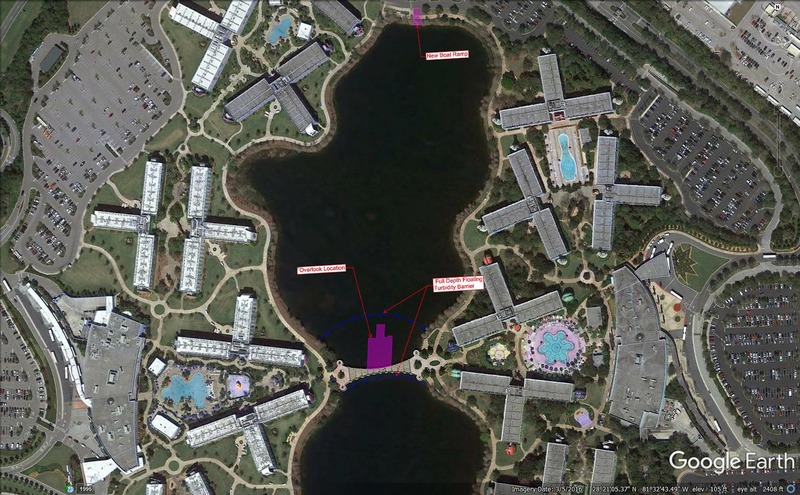 Here’s a look at the permit, superimposed over satellite imagery to illustrate the finished product. The gondola station will be accessed via the existing bridge. 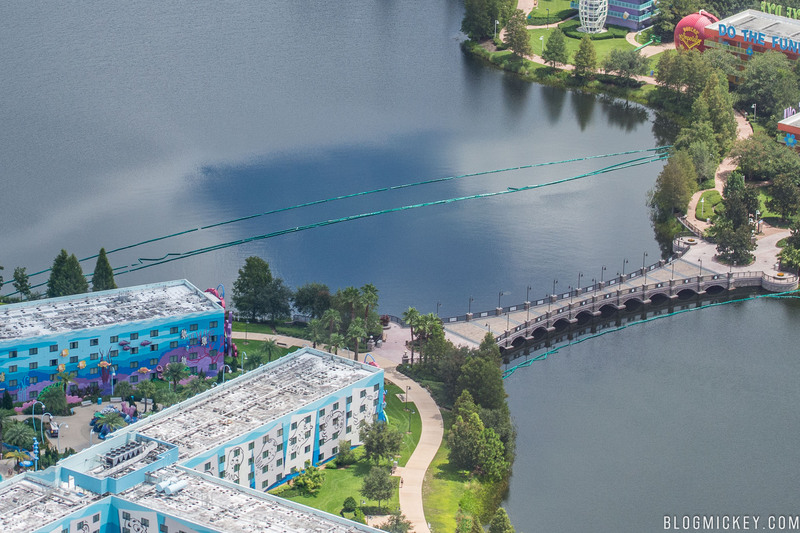 The Disney Skyliner gondola project is expected to be completed by mid-2019.